At the beginning of my last entry I put the Invasion of Holland by Paratroops. Owing partly to the bad weather we were a long time linking up with them and only to-day have we heard the welcome news that they have been withdrawn to the south of the river and linked up with our other troops. I judge we were not strong enough to break thro’ the Gers to get to them, but we are all deeply thankful that they, or alas, all that are left of them, are relieved after 13 days. Owing to the weather conditions they had the ordeal of seeing food and ammunition being dropped into Ger. lines instead of to them. It will be one of the epic stories of the war, small comfort that to those at home who will have lost sons and husbands and brothers. It is still very stormy tho’ the wind has settled a bit again tonight. On Sunday, the Harvest Festival, it poured with rain all day and we neither of us got to Chapel. Jean should have paraded to Hogsthorpe in the afternoon. There is a big Youth Parade at Skegness to-night. Ciss says bus’ does not leave Sk. until 9.45 so there will be some sleepy-heads in the morning. Ciss and P[ercy] and Gw[en] have been to Boston and now Gw has gone to Sk. but she is on holiday. Jean stayed at Sk. Was going to get tea at Joyce’s if she could. Took them some apples. I went to Sk on 5 pm bus’ yesterday to see Miss Cusack. Jean is to commence Ty[ping] and S[hort] Hand lessons next Wed. £1.1 for 12 lessons. She will leave work early those days. It is at the far end of Grosvenor Rd so will mean a good walk to the bus’ if she is not cycling. Sat near Miss Eva Scarb[orough] coming home. Her hospital received direct hit from Flying Bomb. I did a little baking this afternoon in case Mrs. T[ed] B[rown] comes tomorrow, expect she will as I have had no letters. Rene came after tea for a few minutes. Mrs. Y. goes home tomorrow. Rene thinks she is looking forward to going home to her husband after 3 weeks away. Rene will not be sorry to have the house to themselves I expect, tho’ Mrs Y is very pleasant. I have missed Rene very much, but am pleased to say I have not been really laid up tho’ very seedy at times. Mr. Marsh and Miss Robin married on Sat. Went away Mon. morning. T[om] Coote went to see niece at Sutton to-day, Mrs. Sh[ort] says. She brought me some pears, and parsley-tops for rabbits to-day. She was taking Mrs. Hall some tomatoes for chutney to-day. Flying bombs still come over most nights and Gers. still holding out at Dunkirk and Calais, expect they are dug in so deeply they will take some ousting. Shall be so pleased when we need no longer black-out. I have not proper ones as we hope the necessity will soon be over, and they are a nuisance doing every night. Have dug 2 rows of pot. to-day. Don’t think there will be a very big crop, so many are only seed size. Have pulled all apples except Brams. Red ones go bad very quickly. I sent a few apples to Harvest Sale also a “Saucy Rabbit”, it only made 4/0. Rene brought me some of the carrots she bought. Jean did not buy anything. J[im] Hall brought me ½ lb. nice biscuits today, Frear’s. I had not seen that name before but Rene knew it. Planes are droning all the time, it is a lovely night with a bright moon. I thought it thundered this morning and the rain certainly seemed like a thunder-shower tho’ it was so cold. I have seldom seen it pour faster than it did Sun. and the wind was almost a gale. We were amused at the red-hot pokers in T Cootes garden, they are getting passé and the wind bent their heads over and as it caught first one and then the other they bobbed their red heads and long necks forward like a crowd of turkeys. Had a cup of tea out of Ciss’s pot (I had kettle boiling when they got home on the 4.40 bus’) and did not have a sit-down tea, so think I’ll soon have supper. Have put a kaolin poultice on my foot as it is rather red and inflamed. C and P have gone down to Con’s. P. is having a week’s holiday, says he will have the other when Peace is declared! I cannot see that much before Xmas myself. Cleared up the shed a bit to-day. I wonder if it will ever be easy to go in and out and handle the tools without being so sore at heart. Some 2000 out of 8000 men withdrawn Mon night from Arnhem after 9 days, 1000 some hundreds left behind wounded. R.A.M.C. men stayed with them. ‘Operation Market Garden’ as previously mentioned (see 18th September 1944) proved to be a tragic venture. After suffering huge numbers of Allied casualties the operation ended with the evacuation of what remained of the 1st British Airborne Division from the Arnhem area. Miss Eva Scarborough, a chiropodist, was the sister of Elsie (see 3rd February 1941). Mr Marsh and Miss Robin, who married, have not been identified. RAMC – Royal Army Medical Corps. Tue 6.a.m. Aug 8. 44. I think the M.Ps [Members of Parliament] have made a mistake adjourning for 7 weeks. People are sure to think they are scared and have run away from their duty. Roly Grantham says they, F.Bs, not only come straight but turn in their tracks so that you cannot judge where they will end. Whether the one he saw was an isolated case and a freak I don’t know but he is reliable and witnessed a case of one coming over and turning and bursting 2 miles from him. Elsie spent yesterday afternoon with Rene and Tom, they went over to Cumberworth but did not stay to stuffed-chine tea as there was such a crowd. Joyce [Coulston] and Harry Suter came after dinner and Jean and they went to sea for afternoon. They went home about 8 o’c. Jean and I washed a few things in morning most of which got dry tho’ it dried slowly. I took flowers to grave after dinner as Eva came Sun. aft. with Eileen [Faulkner] and Jean and I went to Chapel in eve. and I was too tired after to go. The piece of veronica I planted at the foot is growing. I wonder if Len [Short] will notice when he banks up the grave. My roses are growing, one may even flower and best of all Father’s favourite “Mrs Sara Macready” is showing a definite shoot well up on a twig so it is not a briar. The one that looked quite dead is the one that may flower. The one I am training to a standard is the latest. The ground is covered with apples under the trees but there is a good crop still, but I saw on a branch or two of bramleys the cotton wool of American blight. I painted all I could see with paraffin. The other tree appears to have a blight and has a great quantity of “crumpets”. Most of the other apples on this tree are specked on skin and even the pear-main apples have specks on them and several lots of “crumpets”. These, the crumps, ripen early and Harry, who is tall, reached up for two nice red ones and alas! the wasps had been first or else the blackbirds, there is one who seems to call “fruit fruit” very often. Jean’s lettuces which she planted out are fine. She has another holiday this afternoon. Gwen went, or rather Per[cy] took her to or near Spilsby Sun for her holiday. We miss her tho’ she is so quiet. Ciss washed and ironed as her vis[itors] went to Sk[egness]. Grace is getting better fast. H[arriet] going to see her today. Rene said she would be here sometime to-day, but I must get on and sew as she won’t be here much this week with Tom on holiday. I cut out a pair of slippers last night, hope to get them done for Mrs Russell. Ration Cards back yest., they have sent emergency cards for two weeks instead of one. Nearly 7 o’c so shall have to soon get up and get Jean off. My gladiolas all growing but only one dahlia. It is nearly in bloom. Turkey has leisurely got down off the fence on our side at last as she sees we are winning. Not at war so far and Bulg[aria] has told Ger they won’t all[ow] them (the Gers) thro’ their territ[ory] if she does declare war. Very brave all at once now Ger is getting whacked. Warmer than yesterday after mist disappeared, thunder and a good shower in evening after which Frank came and cleaned out down spout on house which was blocked with dirt and leaves etc. Philip Ranson has been killed in Italy. Percy very upset I think, he looks so old and ill tonight. Ralph F[aulkner] is home from Normandy wounded in knee. Mav[is] came this afternoon, still looks seedy. Paper today says Scot[land] and N.Eng[land] may be able to dispense with blk.out in about 1 month from now and to have a modified type of street lighting. There are a lot of planes about with that looming drone I hate to hear. Expect it is really the heavy clouds about, but they sound so like evil business threatening us or our enemies, most likely enemies. I think the worst menace for us is over unless he gets those other long-range pilotless planes going. 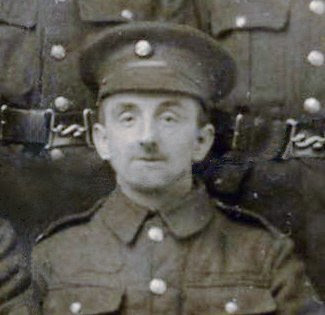 Roland Grantham was one of Elsie’s brothers. 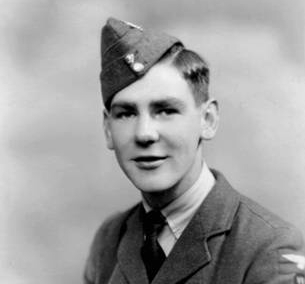 Harry Suter was the boyfriend (who became the husband) of Jean’s schoolfriend Joyce Coulston. ‘Too tired to go’ (after Chapel) refers to an intended visit to Will’s grave on the Sunday. Len Short, elder brother of John, was a gardener and the church-yard verger. 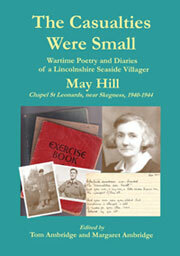 Len was a Home Guard member(see photo – Diary: 6 June 1944) and an assistant in the Boys’ Brigade. 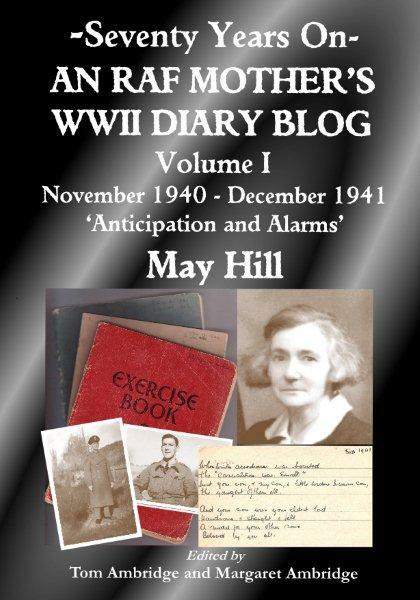 Their sister Freda was a Girl’s’ Life Brigade member (see photo – Diary: 19 June 1944). Bramley cooking apples and Worcester Pearmain dessert apples were the varieties on the garden trees. Philip Ranson was the brother of Ciss’s husband Percy.